You can now upgrade to our Wealthy Woman Success Club Membership. This is our basic level of membership and a great way to have ongoing access to more of the Wealthy Woman resources at a very affordable rate - just $49.97 a month! How to write, publish and promote your knowledge for a profit. Keys to getting the right publicity for your business, ministry or organization. How to spin your story so that you are irresistible to the media. How to develop products &services that meet the needs of your specific market niche so that they will buy specifically from you. How to use free and fast social media tools like Facebook and Twitter to grow your list and increase your business. How to develop communication skills that enhance your life. How to overcome and defeat loneliness once and for all. How to grow as a person and grow your personal and business relationships. How to make time for enjoying your life. A MONTHLY CALL with LaTania Michelle and her special expert guests. The call is easy access from anywhere in the world and sent directly to your inbox. A RECORDING of the call as a digital MP3, so you can download it and store it in your library for future use. Please note you are never required to attend a call live. We know you're busy, so that's why we give you the full recording as an mp3. This way you don't have to be concerned about the schedule of the calls . As long as you're a member, you can access these materials up to 90 days after each call airs. ACCESS TO THE Wealthy Woman Library of Members Only Training Calls, Podcast, Relationship Courses, Business Articles and Spiritual Enriching products. Do you see yourself as a Wealthy Woman? BONUS #1: Get 2 FREE Inner Circle Audios INSTANTLY When You Join Today! 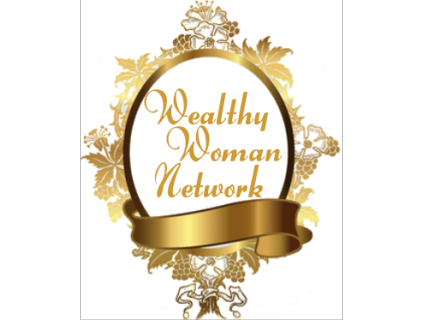 As a special thank-you, the Wealthy Woman Network also wants to gift you with 2 FREE audios of our most popular interviews. You can download these INSTANTLY once you join right now, to get started right away. BONUS #2: Inner Circle SAVE 10% Off ALL Wealthy Woman Products and Services. Once you join The Wealthy Woman Inner Circle, you'll enjoy 10% off any NEW purchase you make Wealthy Woman Products programs or services. Whether it's saving on an informative new tele-course or one of our masterminds and coaching programs, this benefit alone will practically pay for your membership, while enhancing your success. "Yes, I'd like to join The Wealthy Woman Inner Circle for just $49.97 a month! I understand for that low investment I'll enjoy monthly phone calls with LaTania Michelle and special expert guests, and I'll learn business, relationship and personal success topics designed to grow my business, ministry and relationships. I’ll also receive access to digital recordings of each call, that I can download for up to 90 days, so you won't have to be concerned with scheduling conflicts. And I understand if I'd like to cancel anytime, I can simply let you know via email support, and future charges will be immediately canceled. Don't wait — get started now.